We're delighted to host the Rt Hon Penny Mordaunt MP, Secretary of State for International Development and Minister for Women and Equalities at our Spring Reception, on the 1st of April from 7-9pm in the Attlee Suite (Portcullis House, Westminster) This event is kindly sponsored by Tearfund. The Secretary of State will discuss DFID and UK Aid's role in combating and responding to the impacts of climate change. This is particularly significant with the UK's leading role in the upcoming UN Climate Summit on climate resilience. We hope that you can join us for this important discussion, with refreshments and canapés provided. This is a reception beginning at 7pm, with a seated 'in conversation with' portion of the evening which will begin at 7:30pm. If you have any questions regarding this event please email megan@cen.uk.com. This year has seen an ambitious Conservative government delivering on many pledges for the environment. They have taken on some of the biggest environmental challenges including the scourge of marine plastics, the illegal wildlife trade, and climate change. CEN has also had a successful few months, with well-attended events and growing interest inside and outside Parliament in conservative environmentalism. We have launched our Caucus of MPs and our new membership is growing rapidly. To celebrate we're hosting our Christmas Drinks from 6-8pm on the 10th of December in the Walkie Talkie building (20 Fenchurch Street), sponsored by DWF and the REA. The space is on one of the top floors and offers breath-taking views of London. We would be delighted if you would join us to enjoy some food and refreshments. Due to high demand we are not currently accepting additional guests. CEN Members will receive priority places, so please get in touch with Meg via megan@cen.uk.com if you are a member. Sam Richards (CEN, Chair), James Heappey MP (Wells), Tony Glover (Energy Networks Association), Julie Hirigoyen (UK Green Building Council), Keith MacLean (Providence Policy) & Richard Howard (Aurora Energy Research). Ben Caldecott (CEN, Chair), Melanie Coath (RSPB), Eamonn Ives (Centre for Policy Studies), Dr Jonathan Scurlock (National Farmers' Union) & Martin Lines (Nature Friendly Farming Network). The Conservative Environment Network is delighted to invite you to our Net Zero Conference. 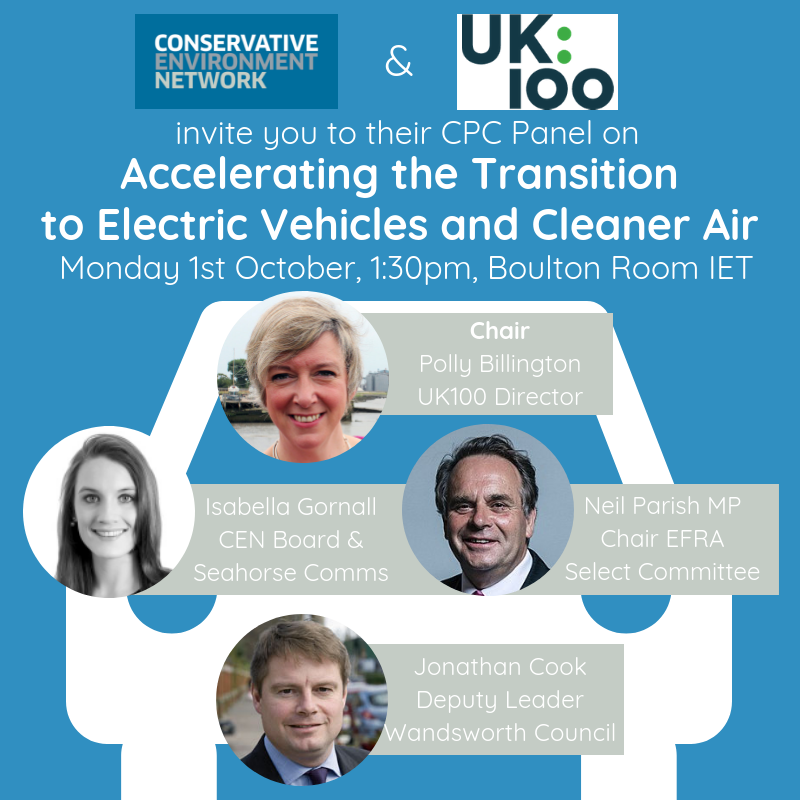 Following Minister Claire Perry's request to the CCC for guidance on reaching Net Zero emissions, the Conference will explore a conservative approach to the questions posed by introducing this target. Net zero means reducing emissions to as close to zero as possible, and balancing remaining emissions by soaking carbon out of the atmosphere by, for example, planting trees. Each panel will consider how the sector can achieve Net Zero, and why its so important that they do. Taking place just two days after the 10th anniversary of the Climate Change Act, the conference will look at the success of the Act so far in spurring low carbon industries like offshore wind, and at the economic opportunities for the UK in going Net Zero. We hope you'll join us for this important discussion. You can find detailed biographies on the speakers here. Thank you for your interest in attending CEN’s Net Zero Conference! We will be in touch with further details nearer to the event. How do we solve a problem like Marine Plastics? 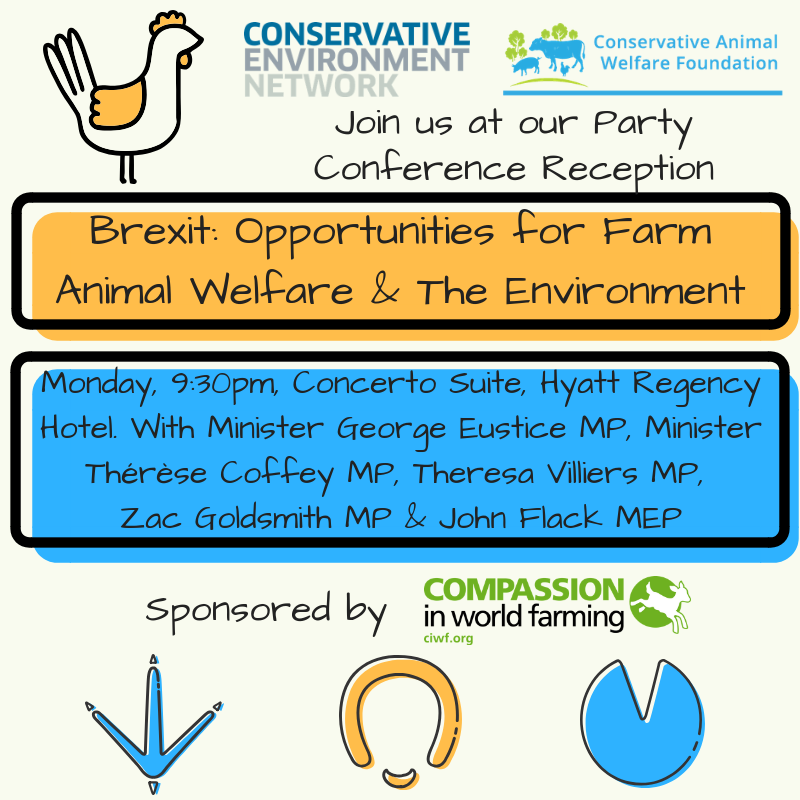 Join us at our reception at Conservative Party Conference with the Secretary of State for the Environment, Food and Rural Affairs, the Rt Hon Michael Gove MP.